The Second Amendment is very ambiguous. “A well-regulated militia, being necessary to the security of a free state, the right of the people to keep and bear arms, shall not be infringed.” Some people read it and believe that it means only the military can have arms. To understand what the Founding Fathers meant when writing the second amendment, you have to read what they wrote and/or said about it. You’ll find what they meant by “militia” was the average law-abiding citizen, properly trained in the use of firearms. These citizens would have arms to protect themselves and come together to protect their community, state or country in time of need. In the late 1700s, an armed citizenry was not a new idea. The English Bill of Rights 1689 established the right of all to bear arms for personal defense. (Bill of Rights 1689). Sir William Blackstone, 18th century judge and politician, wrote of the “natural right of resistance and self-preservation when the sanctions of society and laws are found insufficient to restrain the violence of oppression.” (Blackstone’s Commentaries on the Laws of England). The courts determined in US v. Cruikshank in 1876 and Presser v. Illinois in 1886 that the Second Amendment protected the right to bear arms from being infringed upon by Congress (United States v. Cruikshank). In 2008 during District of Columbia v. Heller, the court ruled that the amendment protects an individual’s right to keep and bear arms without serving in a militia (Right to Keep and Bear Arms in the United States). Senator Orin Hatch pointed out that the 1st and 4th amendments state the “right of the people” and that no one disputes that as an individual guarantee. (Hardy, 2001). 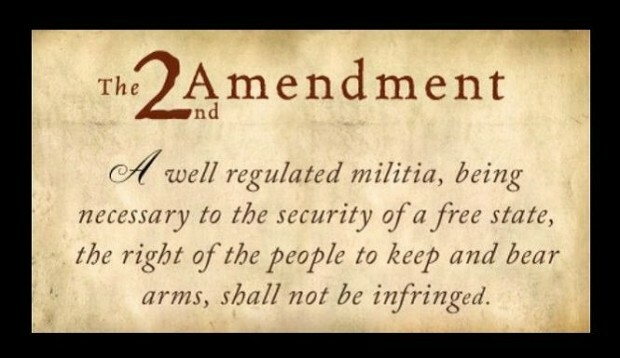 You can argue all you want about the words, as written, in the Second Amendment; however, the designers of the Constitution, in their own words, meant that all Americans have the right to keep and bear arms, including open/concealed carry. The statements in this document are just as important today as they were over 200 years ago. Thought for the day: If the Right to Bear Arms was only meant to protect muskets, then Freedom of the Press was only meant to protect the printing press. Alexander, J. K. (2002). Samuel Adams: America’s Revolutionary Politician. Lanham, MD: Rowman & Littlefield. Carter, G. L. (2012). Guns In American Society: An Encyclopedia of History, Politics, Culture, and the Law (Second ed., Vol. 1). Santa Barbara, CA: ABC-CLIO. Conway, M. D. (1906). The Writings of Thomas Paine. New York: The Knickerbocker Press. Halbrook, S. P. (1998). Freedmen, the Fourteenth Amendment, and the Right to Bear Arms, 1866-1876. Westport, CT: Praeger Publishers. Halbrook, S. P. (2008). The Founders’ Second Amendment: Origins of the Right to Bear Arms. Chicago: The Independent Institute. Hardy, D. (2001). The Right to Keep and Bear Arms. Paladin Press. Hatonn, G. C. (1994). It’s All in the Game: Butterflies, Mind Control–The Razor’s Edge. Las Vegas: Phoenix Source Publishers. Malcolm, J. L. (1994). To Keep and Bear Arms: The Origins of an Anglo-American Right. First Harvard University Press. Waldman, M. (2014). The Second Amendment: A Biography. New York: Simon & Schuster.